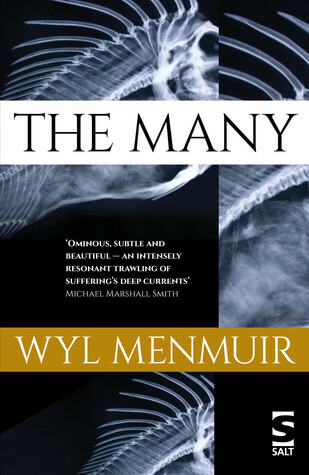 A novella of only 141 pages, The Many is a melancholy tale, suffused with grief, individual and collective. Timothy Buchanan arrives in an isolated village in Cornwall after some kind of environmental catastrophe has devastated the local fishing industry. Despite its setting on the wild Cornish coast, there is a strong sense of claustrophobia because the fishing grounds have been confined by a barrier of rusting container ships beyond which the fleet may not venture, though most of the fishermen have given up their boats and resigned themselves to a crusty idleness in the pub. Those that do put out their boats usually return empty-handed or with a catch malformed by the chemicals that permeate the bay, a catch that must be sold in its entirety to the authorities, overseen by a faceless woman in grey. The story unfolds through the perspective of Timothy, and Ethan, one of the few remaining fishermen and the only one prepared to give Timothy a cautious acquaintance. Alternating third person narratives reveal that Timothy has bought (sight-unseen) the cottage of Perran, who drowned on the rocks ten years ago. The whole village mourns him, and his derelict cottage had stood as a kind of grim memorial to an event which has scarred the collective memory of this close-knit community. Timothy, escaping his own demons, has blundered into a hostile world which sees him as an interloper desecrating a sacred space. The Many reminded me of the film The Wicker Man because it features a similar contrast between the closed community with its own hidden agenda to protect, and an outsider who has no comprehension of a world with its own laws and rituals. Timothy’s plan is to renovate the cottage as a home for himself and his wife Lauren, but to the village he is an unwelcome ’emmet’, what we in Australia would call a ‘blow-in’. But it is not just that he represents wealthy Londoners transforming the coast with their weekenders: he also represents the anonymous external world which has ruined their way of life by polluting the fishing grounds and by imposing bureaucratic controls on their industry. And when he desecrates Perron’s cottage with new carpet and paint, he soon finds out that their hostility is very real indeed. Munmuir is very good at creating this level of suspense. Timothy’s feverish dreams create a hallucinatory effect that contrast with his poignant memories of a stillborn child, and Ethan’s sense of unease about the risks he takes build to a crescendo as he seeks to find a way out of his entrapment. As Karen noted in her review, this is not a book that resolves neatly into certainties, but that is what makes it so interesting. Will it win the Booker? I have no idea, but I’m glad it was shortlisted or I might have missed it! That a good point. Women are a bit fringe in thIs novel generally. Your review intrigued me Lisa and your comments about books I’ve read often match my thoughts so I ordered this book and read it yesterday.I grew up in a small town on the north coast of Cornwall so I was expecting to enjoy the setting and I did. The writing, too. Everything else was a disappointment and I closed the book feeling frustrated and confused. The dream sequences became too much for me – some of these long passages didn’t seem to contribute anything more than the ones in previous chapters. I understand that the story hangs on the deep sense of loss and grief experienced by Timothy and Ethan, but a whole village? To respond as a reader to something so deliberately UN-told I needed a little more to work with, even to read it as completely allegorical. Perhaps it really doesn’t matter who Perran was and why his death controlled the village for 10 years but it seems so central to everything else that I felt rather abandoned by the author. But, one thing I was comfortable with, was the idea of a place being traumatised. There was a recent murder here in central Melbourne, a city of nearly 4 million people, and I would say that the city was and maybe still is traumatised by it. I also think we often don’t realise how some aspects of our lives are affected by things elsewhere until something external threatens it. I bet most people in Britain don’t imagine that we in Australia feel uneasy about Brexit, but we do. Because of our close ties to the US, we are anxious about Trump. We have no say in these seismic shifts, but we are affected by them nonetheless. Maybe this was partly why I could relate to a small fishing village that was impacted by decisions made far away? A second read might be a good idea for me. Several reviewers have mentioned that was helpful. And I really did enjoy the writing – interesting in itself given my negative comments about the plot!